CCI has a team of highly skilled consulting professionals with a successful track record for managing medium- and large-scale implementations in accordance with proven project management principles. 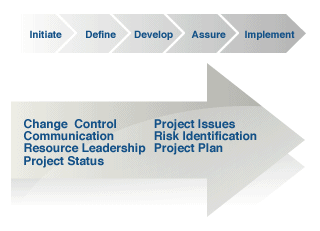 CCI’s core focus is to provide the skills, tools, and time to design and implement highly successful projects. Our expertise ranges from enterprise technological implementations to the build-out or outsourcing of warehousing contact centers and fulfillment facilities. A typical project may be as straightforward as creating and managing an RFP process, or as complex as designing scheduling project plans and managing the vendors, contractors and partners selected to perform the work.